Over the years, Moab Solutions has had a lot of interesting projects in the community. We share some of them with you here for historical purposes. 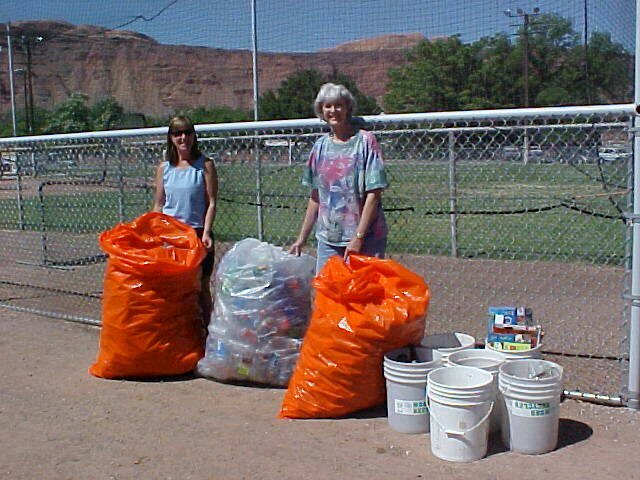 ​The Wednesday Morning Recycle Club got started in September 2007 when six Moab Solutions volunteers spent 55 hours at the Community Recycling Center sorting mixed bags of recyclables into the proper categories so they could be sold. 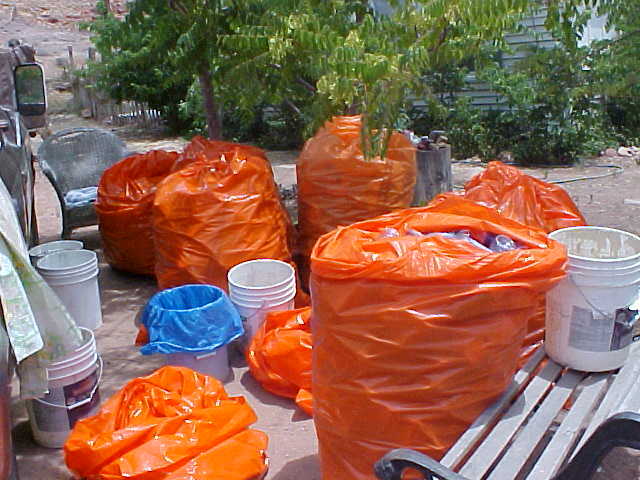 We also cleaned up and organized the sorting floor, and maintained the grounds. For seven years, 4 to 6 of us met there weekly to to help keep this important community non-profit recycling center running smoothly. 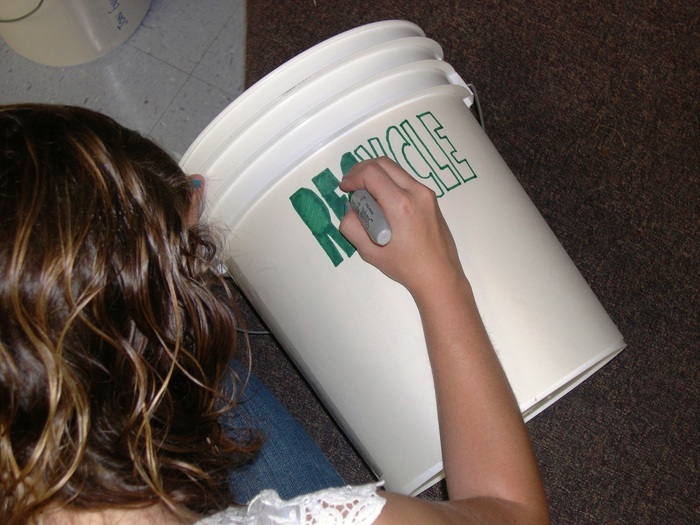 The recycling center is now run by the Solid Waste District, and has more resources than the non-profit that used to run it did, so this is a success story! Below: slideshow of activities from the Wed. 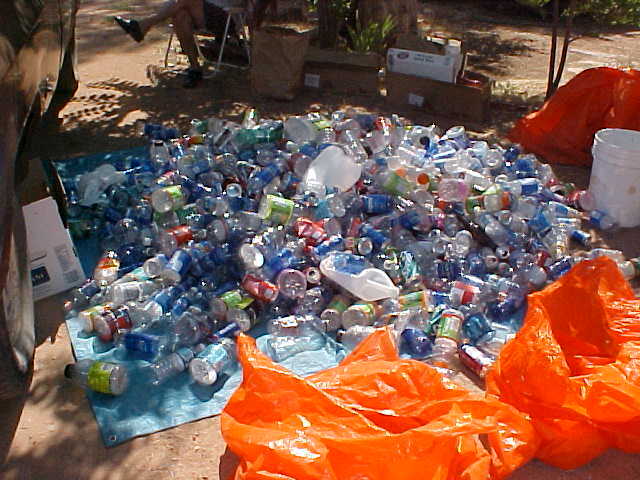 Morning Recycle Club. Photos by Chris Conrad. 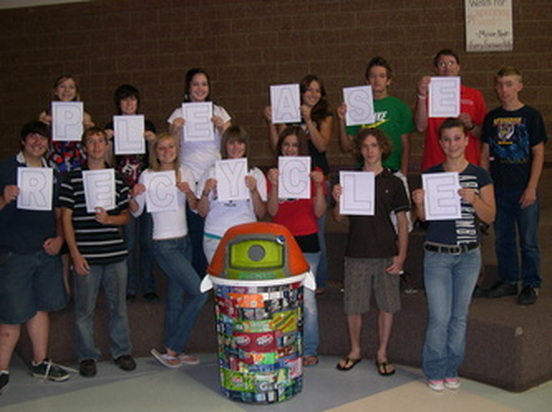 From 2006-2011, Moab Solutions worked with the Recycle Club (later the Earth Club) at Grand County High School in Moab to distribute and maintain hundreds of paper recycling bins in the school. 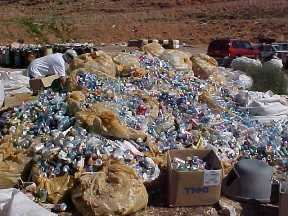 Green Solutions, Moab's commercial recycling hauler, picks up the recycling and takes it to the recycling center, as a free service to the school district. 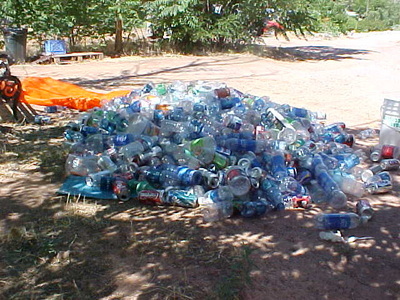 Moab Solutions also worked with the students on other environmental activities, including litter cleanups on school grounds; encouraging walking, biking, and carpooling to school; making posters promoting recycling; and helping the students learn about the environmental effects of consumption and wasting. This project fostered healthy debate and research about human-caused impacts to the planet, and how to reverse the damaging ones while promoting the beneficial ones. Check out the Salt Lake Tribune's article about the project. High Schoolers spell out the word R E C Y C L E.
High School student decorates a bin. Containers from a football game. 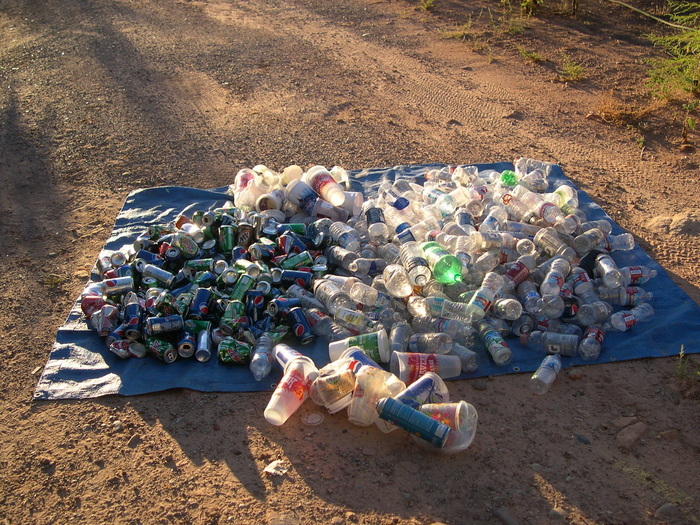 The Interactive Recycled Art Project was popular at the Moab Folk Festival--a chance for people to express their thoughts using litter and found objects. A good way for Moab Solutions to raise awareness about trash and consumption. Over three years, Moab Solutions recycled about 8,000 containers at the City Ballpark. At that time, there were no recycling bins in town at all! Photos from June 2006. The Halloween "Parade of the Horribles" used humor to draw attention to climate change, plastics pollution, and toxics. October 31, 2010.